The classic polo style continues to be a favorite. 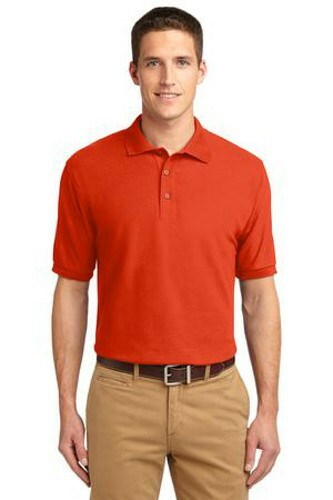 The silky feel of the Port Authority Silk Touch Polo gives it comfort as well as wrinkle and shrink resistance. With a variety of colors and sizes this is a go to shirt for any group or team! Due to the time it takes to produce the Port Authority Mens Silk Touch Polo Shirt Orange ball it will ship in 1-2 weeks. We cannot ship this ball outside the United States.